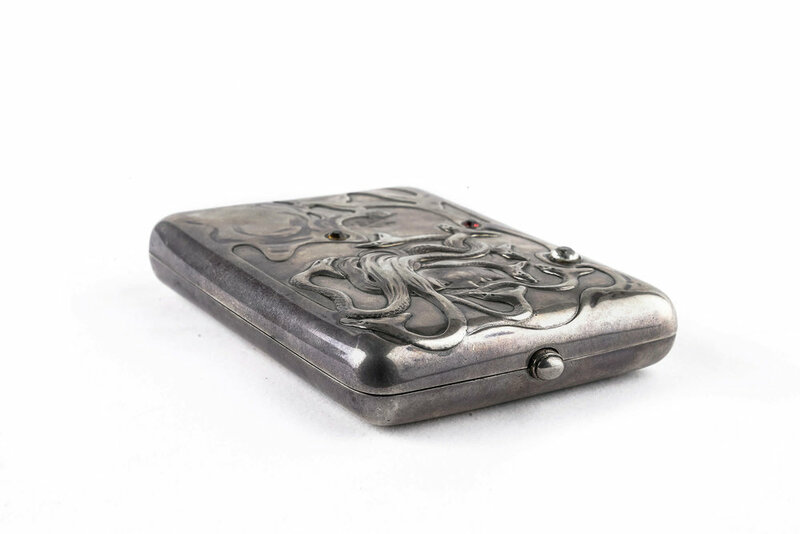 Antique Russian silver 84 jeweled cigarette case by Lorie. 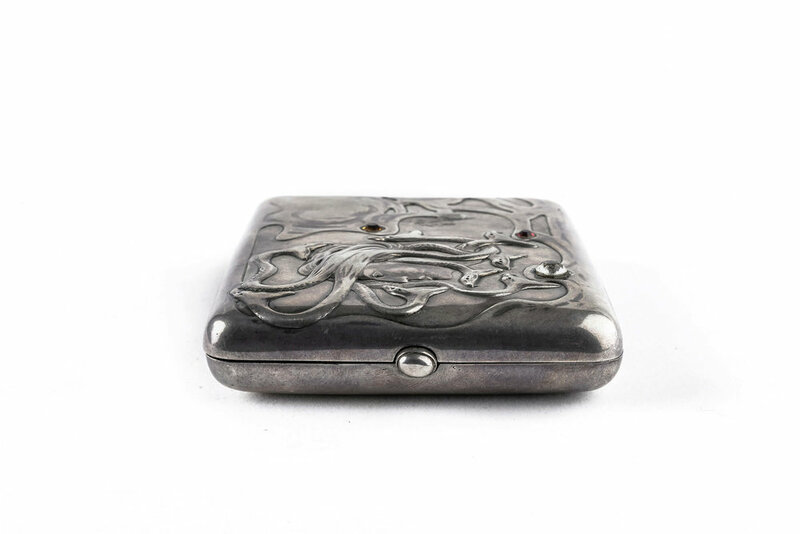 A beautiful antique Russian silver 84 jeweled cigarette case by Lorie. Length is 4 inches. 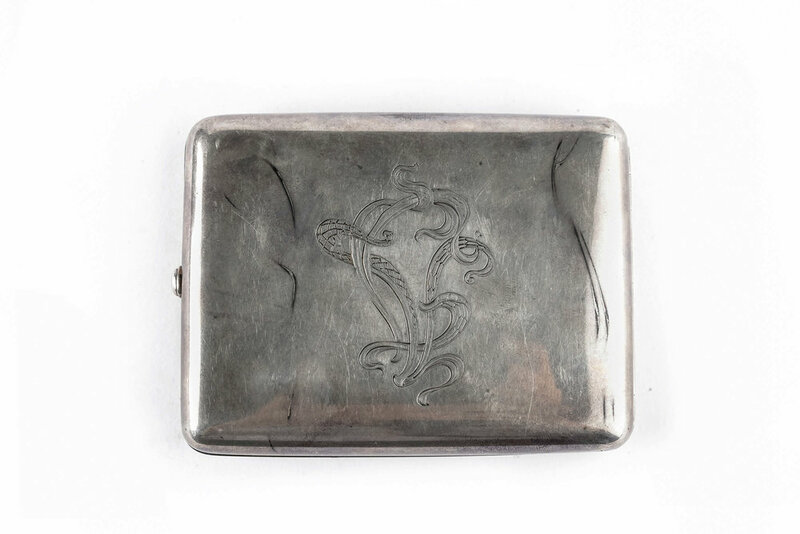 Width is 3.25 inches. Weight is 146 grams.